Have you ever been into Lush or any other shop that sells bath bombs and REALLY wanted to buy one but REALLY didn’t want to pay the price? Yes, me too! If you have ever thought about making your own then I say, do it! 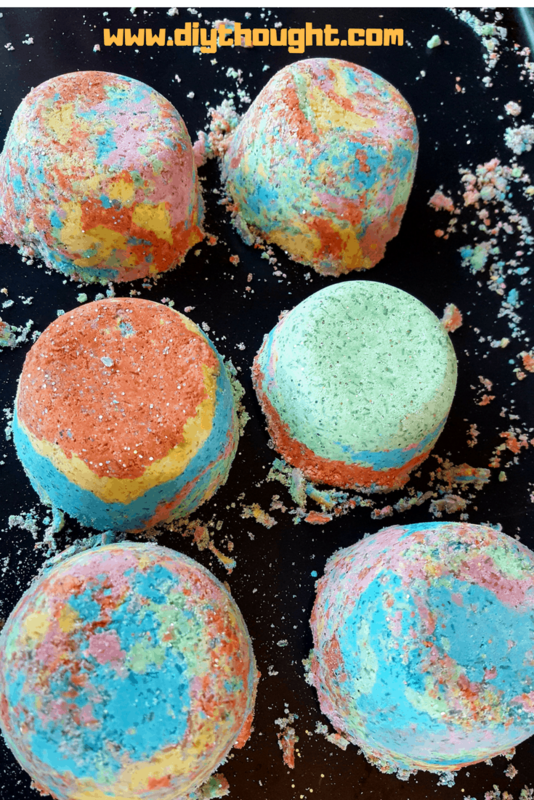 Homemade fizzy bath bombs are super easy to make and look super awesome. 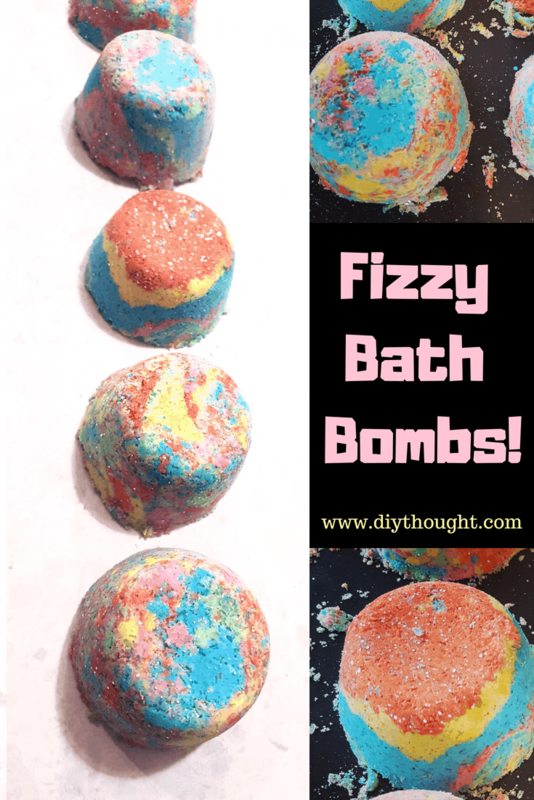 Homemade Fizzy bath bombs make fantastic gifts but you will be tempted to keep them all for yourself! There really isn’t much more relaxing than having a soak in the bath. 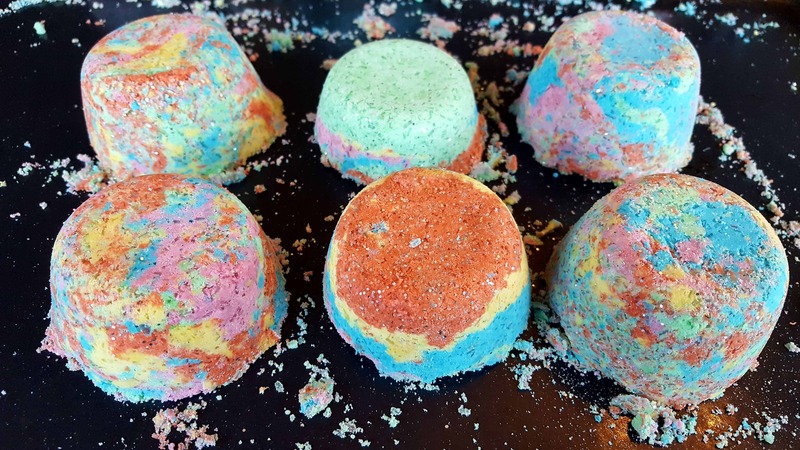 These bath bombs contain Epsom salts which is great for relieving muscle tension, pain, and inflammation as well as softens rough and dry skin. Baking soda is soothing and actually reduces itching. Add some beneficial essential oil and you have a great smelling bath bomb which is actually pretty great for you! This is also a great science experiment for kids! Mix the ingredients and watch the chemical reaction. Baking soda and citric acid are two of the main ingredients which don’t do much as dry ingredients but when placed in water they react and dissolve to produce tiny bubbles of carbon dioxide gas which is what causes the fizzing. So this is a 2 for 1 deal, teach the kids something and get a useful product out of it! That has to be a win. Firm molds, plastic container, muffin tin etc. anything firm small container should work well. Stir the wet ingredients together in the cup. Very slowly add the wet ingredients into the dry ingredients while mixing so it doesn’t fizz. It is easiest to do this with your hands. The mixture should feel like damp sand and stay together when it is squeezed. If the mixture is still dry and crumbly add some more oil or water but make sure to do this gradually as you don’t want it to be too wet! Now separate the mixture into smaller bowls, one bowl per color you are wanting to use. Add a drop of food coloring and mix in using hands. Get your firm mold, we tried using a silicone mold but didn’t have much success so swapped over to a small plastic container. Layer the colors into the mold and press down firmly. Leave for a few minutes before removing from the mold. Turn them onto a surface to dry for a few hours or overnight then enjoy!